Product code: ES2634 Categories: Sold Items, Sold Rings. This antique diamond ring looks stunning both on and off the finger and is so unique and stunning. Made in the early 1900’s in 18ct yellow gold and platinum, the ring measures 17.1mm from top to bottom by 10.4mm wide plus the delightful split band on each side and sits so nice and flat on the finger. Set with 6 European cut diamonds down the centre with 7 rose cut diamonds on each side, there is also a further 7 rose cut diamonds on each side, with the total diamond weight being 0.80 carats. 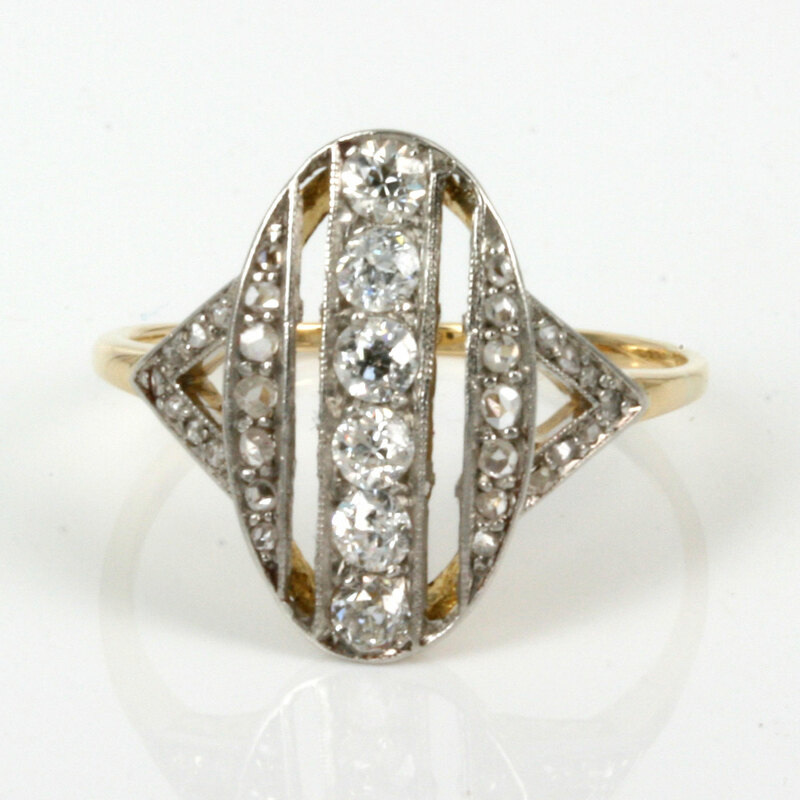 This antique diamond ring is simply stunning and will always be admired for its beauty and elegance.